#67 Milt Buckner 1 #67 Milt Buckner 1 #79 Funk, Inc. #79 Funk, Inc.
#68 Milt Buckner 2 #68 Milt Buckner 2 #80 Funk, Inc. #80 Funk, Inc.
#70 Johnny Otis Show #70 Johnny Otis Show #82 Cheezy..or not..? #82 Cheezy..or not..? #75 Jeff Hackworth #75 Jeff Hackworth #87 Joey D. / Birelli L. #87 Joey D. / Birelli L.
PLEASE SUPPORT THE MUSICIANS OR THEIR FAMILIES, IF YOU LIKE THEIR STUFF, BUY IT! #66 When I heard that CURTIS MAYFIELD passed away last December I started to replay his albums and I found this "ultimate love song", "SO IN LOVE" that starts with a mellow, comforting Hammond sound, which continues throughout this beautiful song. To hear the organ better I taped only the left channel of this track. This track comes from the LP "There is no place like America"
#67 More "Music for Lovers" from this CD by MILT BUCKNER, titled "MIDNIGHT SLOWS Vol.6" that I recently found. Really very late night music, for in night clubs etc. It would fit well in a David Lynch movie. On this first track, a version of Billie Holiday's "WILLOW WEEP FOR ME" Milt is accompanied by Buddy Tate on Tenor Sax and Jo Jones on Drums, recorded on Jan 1974 in France. #68 From the same CD comes "BLUES IN THE NIGHT", recorded on May 1976 in France, with Arnett Cobb and Eddie Chamblee on Tenor Saxes and Panama Francis on the Drums. So I found out that Milt Buckner is not only very good in "Hot" music, but also in Ballads. #70 Nice old R&B tune "YOU CAN DEPEND ON ME" by the "JOHNNY OTIS SHOW" that I once taped from a 45 RPM single. I don't know who's playing the organ here. #71 It's BOOGALOO time with the "SUGARMAN 3" featuring ADAM SCONE at the Hammond. From their CD "SOUL DONKEY" come these following 3 tracks. They are all very entertaining tunes in the Soul Jazz/ Boogaloo style. It's all about "Rupert" the Soul Donkey (am I glad it's not Rufus!) who was reared on a farm in South Carolina. He can strut his Donkey stuff and he ain't no jive! The Sugarman 3 will tour at the end of January in Denmark and Sweden and after that in the UK, so if you live there make sure you don't miss them! #72 Adam's tune on this album is this "CHICKEN HALF"
#73 You can hear the 60's in this version of the James Brown track "OUT A SIGHT". #75 and #76 From JEFF HACKWORTH's CD "WHAT A WONDERFUL WORLD" come these 3 tracks. Together with upstate NY b3 master BOBBY JONES and KENT LEECH on drums. Jeff makes fine Mainstream Jazz, sometimes with a little Funky or Latin touch. It was rather difficult to make a choice out of the tracks, which are all equally good, so I picked these four to give an impression of the different moods on this album. 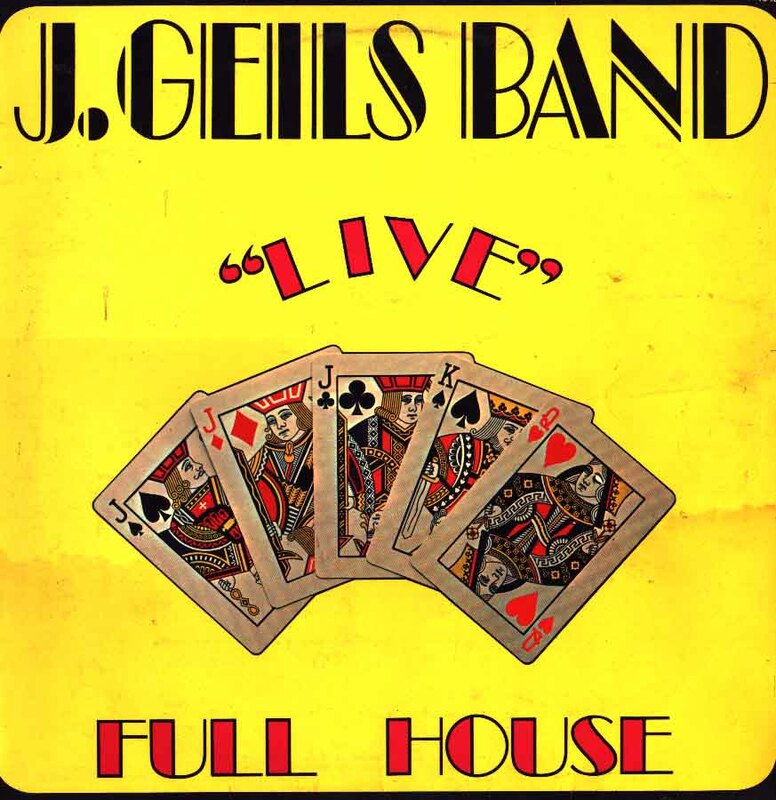 #77 One of the ballads on this CD is "PRISONER OF LOVE"
#78 Heavy Funk by "TOWER OF POWER" with heavy Hammond by CHESTER THOMPSON in "SQUIB CAKES", I don't know if this is a well known delicacy in Oakland, but it sounds good! This clip was kindly provided by Jamie Hilboldt from Austin, TX. USA. 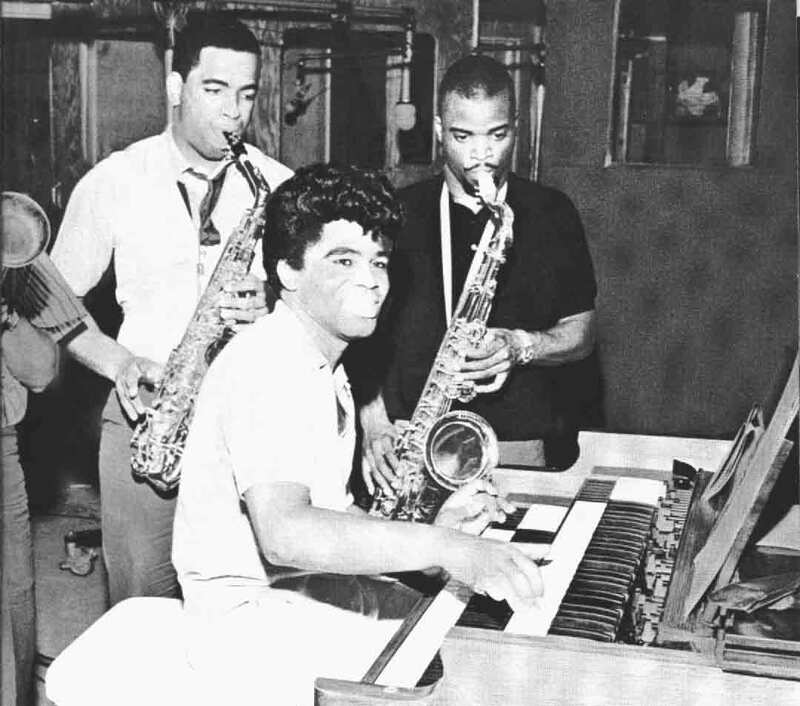 "GO ON NOW" with other well-known musicians, such as ALFRED "PEE WEE" ELLIS on alto, MACEO PARKER on tenor, JIMMY NOLEN, guitar and JOHN "JABO" STARKS on drums. Thanks to several listeners I know that this is "WHATS` THE TROUBLE ?" by JACKIE DAVIS. #83 A bit of Latin Hammond in this tune "POQUITO SOUL"from a single by the group with the peculiar name "ONE "6" + THREE "
From LP: $TATESIDE 5C062.90907 EASY RIDER. 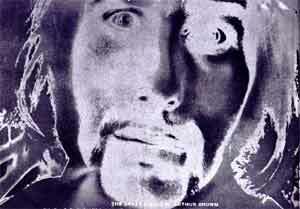 As you enter "THE CRAZY WORLD OF ARTHUR BROWN" you hear "THE FIRE POEM" followed by his famous song "FIRE". Behind the Hammond is VINCENT CRANE, who is described as "Jimmy Smith on Acid" in this review in the All Music Guide. #86 & #87 I have already taped many good programs from the French MUZZIK TV Station so the following 5 clips are from these videos. JOEY DEFRANCESCO is here playing together on the MARCIAC SWEET 1999 Jazz Festival with veteran Master Drummer ELVIN JONES and the French guitarist BIRELLI LAGRÈNE, who is coming from a musical gipsy family, replacing at the last moment John McLaughlin. They had never played together before, in fact the guitarist was still in the plane when the two others were already rehearsing, but the results are great! You hear "GREATER LOVE" and "IMPRESSIONS", both by John Coltrane. #88& #89 Somewhere in the medieval centre of Paris there is a Jazz club with a HAMMOND XB3 down in the caves. It's a popular late night hang-out for musicians and they regularly organize jam sessions. As it is one of the few places with a Hammond organ the French Hammond organ player STEFAN PATRY likes to play here with his friends and he is doing it right here in : "BLUES GNON". 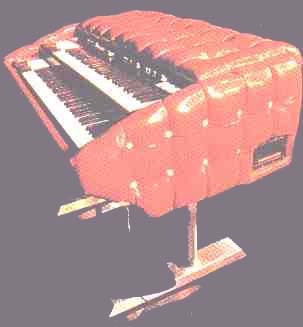 Whenever you hear people on this clip talk about something like "ORGAMON" they are talking about the Hammond Organ ("Orgue Hammond"). Stéfan, who actually grew up in the same village where Rhoda Scott lives and who was encouraged by her to play the Hammond, also explains the advantages of playing the pedals (in French...). #90 Another session in the downtown Paris club, this time with organist EMMANUEL BEX playing with the Belgian guitarist PHILIP CATHERINE and the Italian drummer ALDO ROMERO, in "GALERIE DES PRINCES".